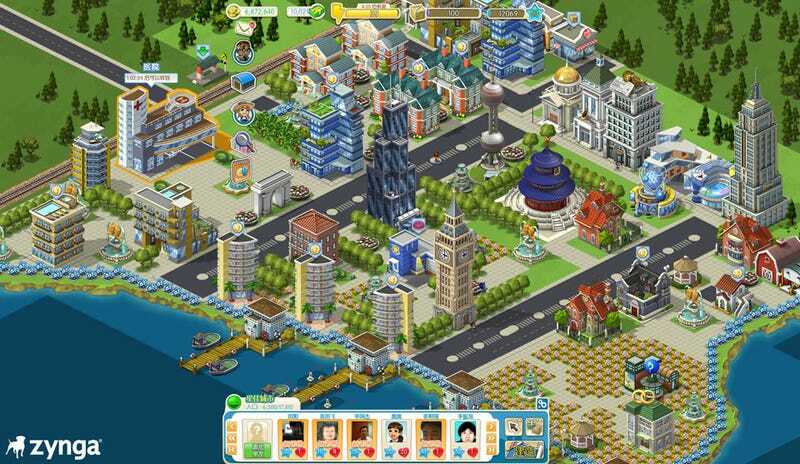 Super-popular Facebook game CityVille now has a little brother, developers Zynga releasing a version of the game in China. An official version. It's called Zynga City, and has been largely overhauled for the local market, with buildings and events geared toward Chinese tastes and experiences. It'll also, fitting for a nation hooked on MMO games, include a quest system to go with the city-building. I can see where they're going with it, but it's a shame only China gets the heavily-localised treatment. Why can't I play BushVille, and build a small rural town full of pubs, butchers and pie shops?